Why are the colors of the image inconsistent in different applications after the monitor calibration? 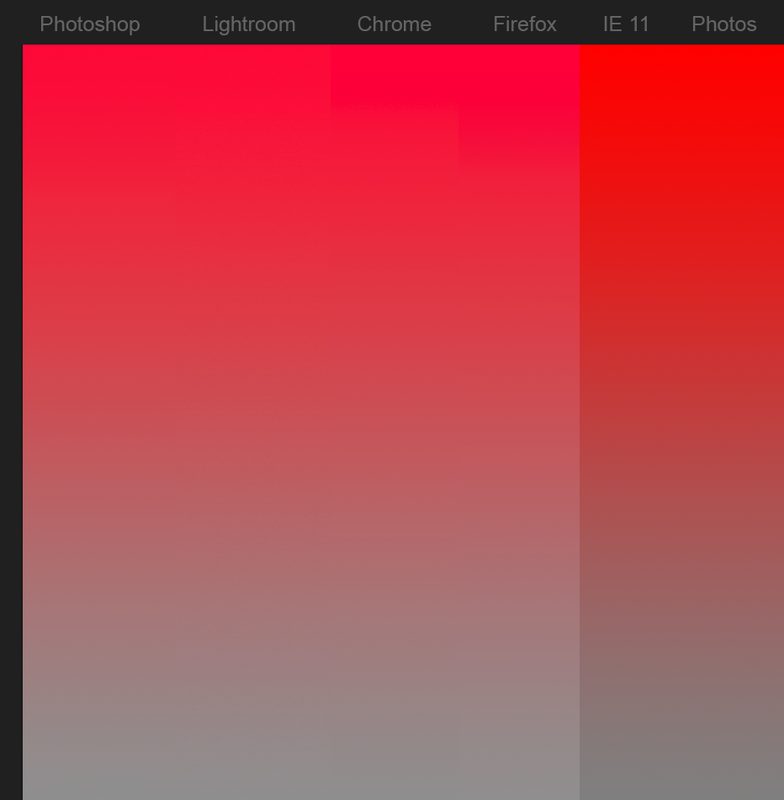 As you can see, the gray levels are different in Photoshop and Lightroom. 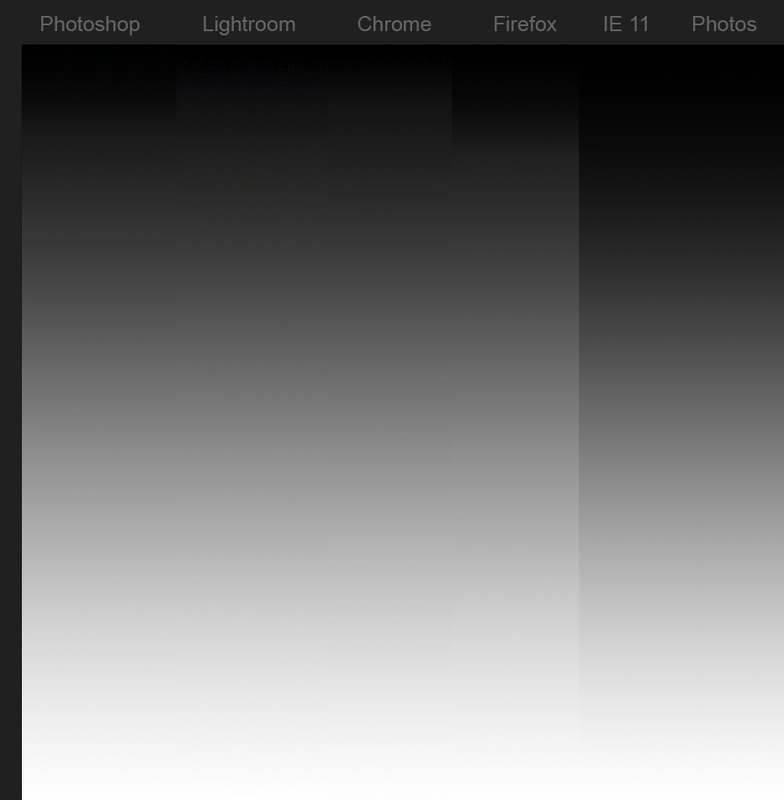 Then, in web browsers, Chrome and Firefox are quite similar to Lightroom, although Chrome's gray levels are a little brighter. Internet Explorer and the Windows Photos application look darker and have more saturated colors. 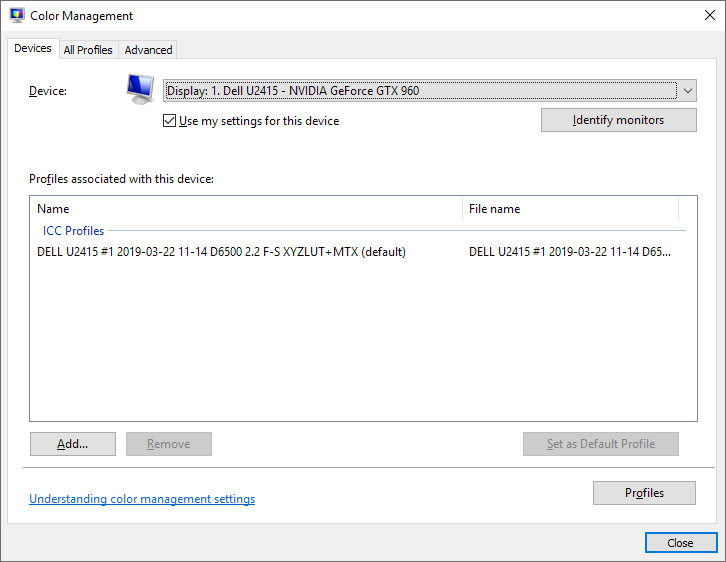 In Windows Color Management, the ICC profile associated with my monitor device is configured in my custom profile from the calibration (screenshot). 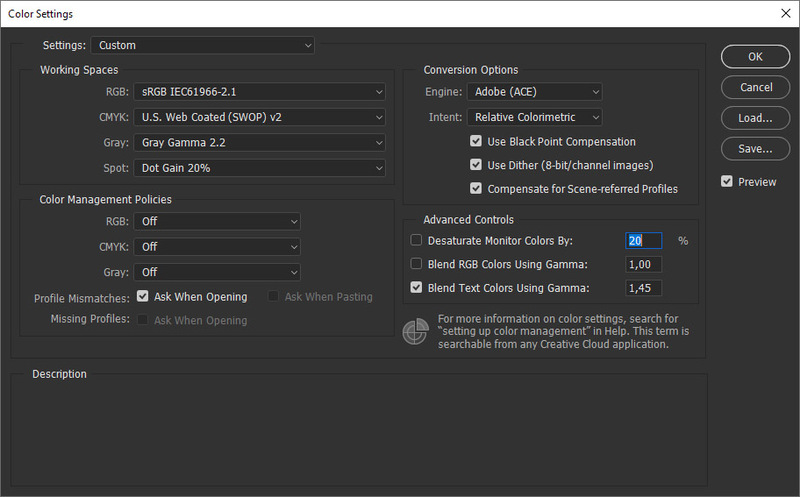 The Adobe Photoshop RGB workspace is set to sRGB (screenshot). In Firefox, I linked my ICC display profile and enabled full-color management (screenshot). I do not know what colors are supposed to be "correct", because even the wallpaper of my desk is shown with those colors more saturated and darker, so I'm confused. Also, I do not know why these subtle differences exist in the dark gray levels in the first 4 applications that are shown in the test images. Since I am using DisplayCAL as my color and profile calibration software, I was able to generate an ICC profile with an interchanged matrix (blue-red-green instead of red-green-blue), and showed those colors exchanged only in Chrome, which means that you should be using the profile based on matrix instead of based on LUT. And that could be the reason why it makes some colors different.